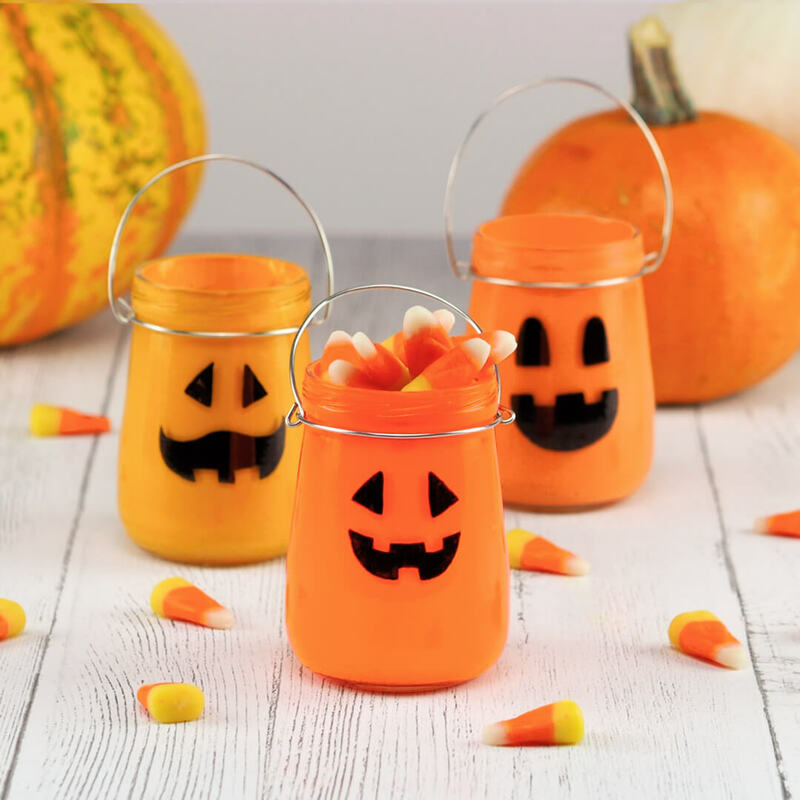 Halloween Decor: Reuse Glass Beech-Nut Baby Food Jar! 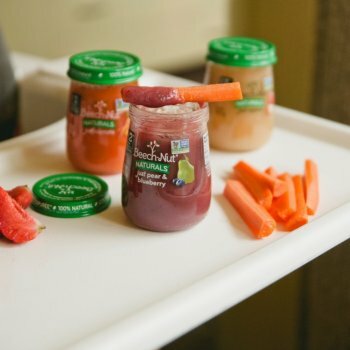 Looking for an easy way to reuse glass baby food jars this fall? 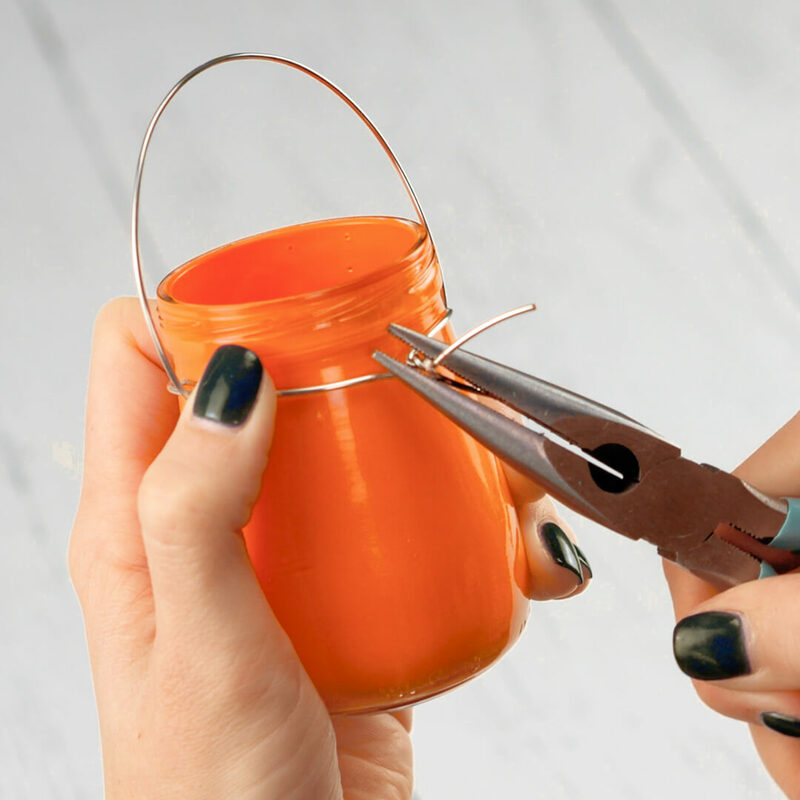 See below for an easy DIY idea for how to turn your empty Beech-Nut® jar into a cute Halloween decoration! 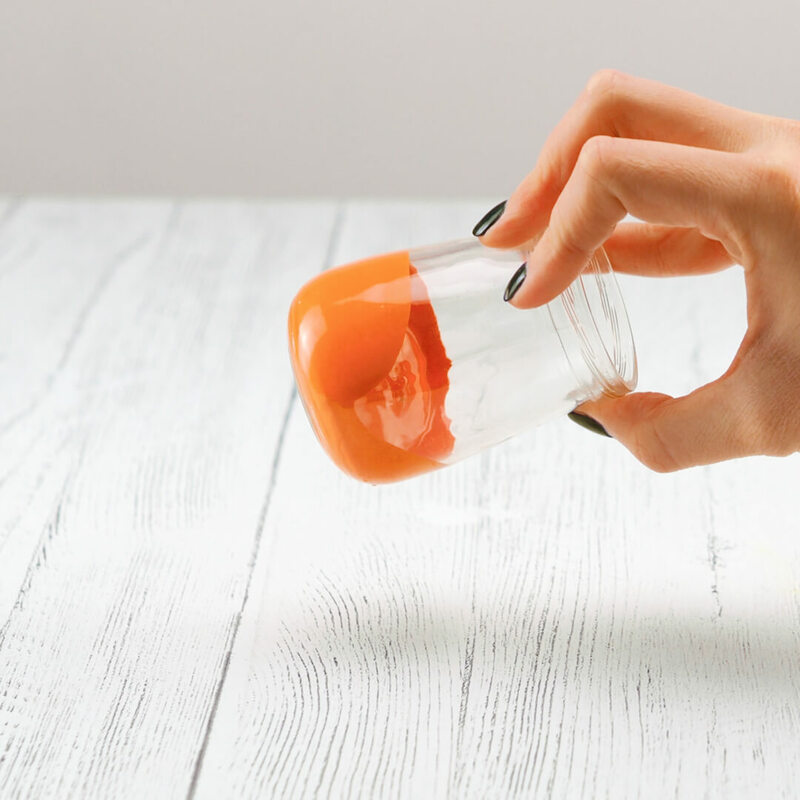 Start by soaking jars for 30 mins in soapy water to remove label from the jar. 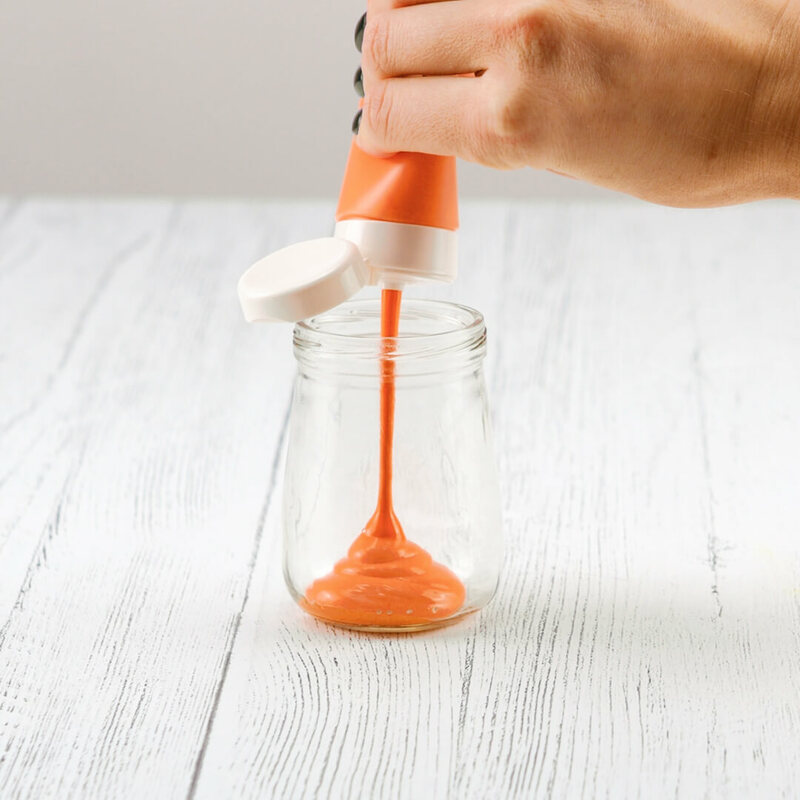 Then pour roughly 1-2 tablespoons of paint into jar and swirl around until the paint has covered the entire inside of the jar. 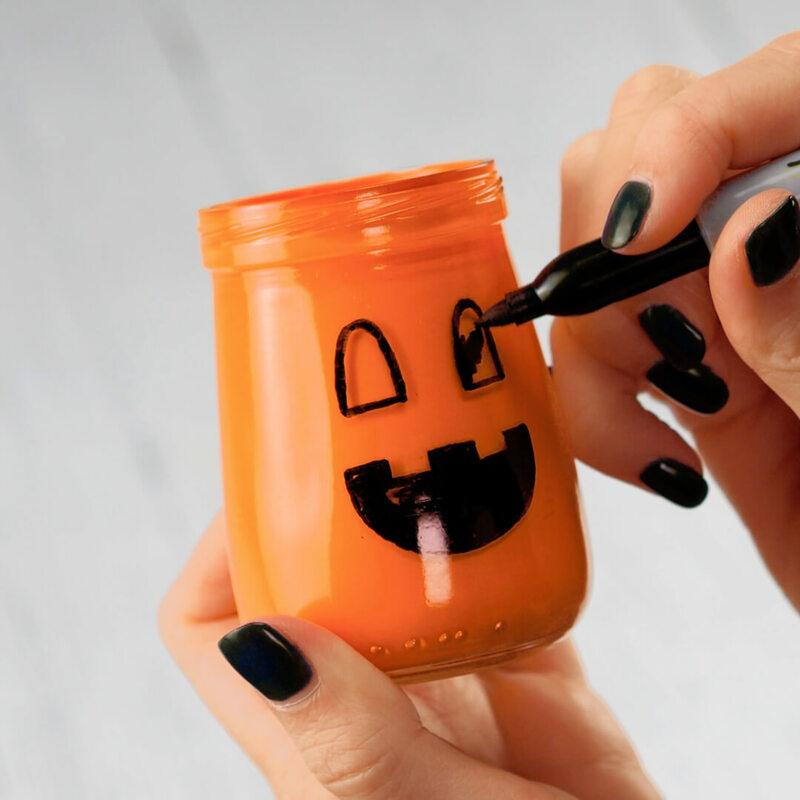 Draw a spooky face on the outside! Take an 8” piece of wire make loops at the end (this is your handle), and then string another 8” piece of wire through it. 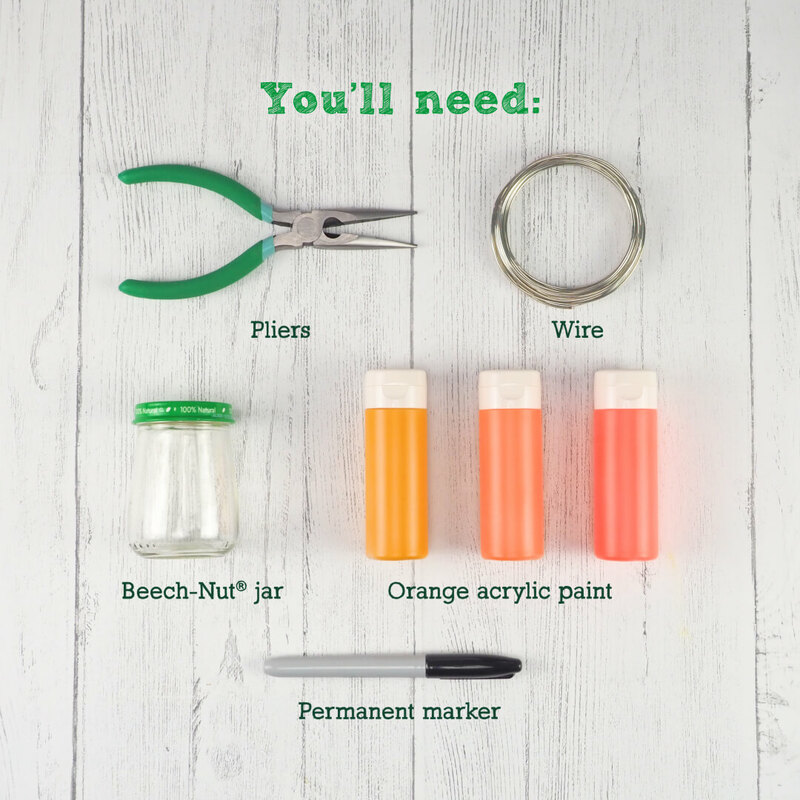 You’ll wrap that one around the top of the jar and twist the ends together with pliers. 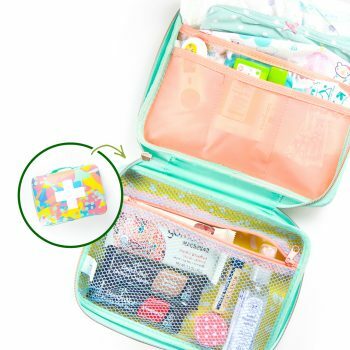 Let dry overnight, and then you’re all set! Trick or Treat! Fill your jar with decor, candy, or a tealight!